The cloud is changing the way businesses interact with spreadsheets - so how can you adapt? "Even if history holds spreadsheeting entirely blameless for the present mayhem, the fact that spreadsheeting is so widely used while at the same time so error prone is a strong indication that if a way could be found to improve reliability, global GNP would step noticeably upwards.’"
Angus Dunn, European Spreadsheet Risks Interest Group. Businesses like spreadsheets. With over 750 million users worldwide, Microsoft Excel is the traditional tool of choice for presenting and analysing data and calculations performed using the solution, count for £38 billion of private sector investment decisions per year. 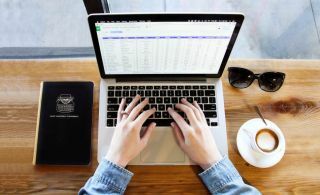 Spreadsheets continue to be the only real, flexible tool that can deliver answers fast and that is one of the reasons why they continue to be so popular. No matter how many systems a company has, how big they are, or how many millions of pounds have been spent on them, the reality is that the majority of data is exported to Excel before decisions of serious consequence are made. There are only a handful of finance departments in the world that don’t run their critical decision making analysis through Excel. And the reason for this is simple – those waiting for an answer, do not have to get the IT team involved and wait weeks for an answer that Excel can deliver in minutes. So, while Excel continues to be the number one platform when it comes to analysing data, finding information, preparing charts and presenting them to decision makers, there are some issues that are frustrating for users. One very common challenge affects those using spreadsheets in a small – it may only be 5 or so – collaborative team where everyone needs to access and share the same data as they work towards a complex set of business reports. This can be really hard and fraught with massive inefficiency, as any changes made on one spreadsheet cannot be seen by the other members of group. The result is endless hours of copying and pasting to arrive at a ‘single version of the truth’. In this scenario, the risk of errors increases and as we all know, a slip of a key can result in a high profile disaster. Take for instance the spreadsheet error that left the London Olympics 2012 organising committee highly embarrassed when it was left to confirm that four swimming sessions had been oversold by 10,000 tickets. Entering 20,000 rather than the correct figure of 10,000 caused this mistake and research shows that half of all spreadsheet models used operationally in large businesses have material defects. So, can spreadsheets be re-engineered to deliver a tool that is built for the demands of modern day business? The answer is yes and it’s time for a new way with the help of one of the most dominant technologies in 2018 – the cloud. The consensus amongst IT specialists is that the cloud is set to be the biggest driver of change and certainly, the cloud has the potential to transform efficiency within organisations that need to work collaboratively and currently, rely on unconnected spreadsheets to formulate management reports. By employing a radically different approach to an age-old problem, users can now enjoy the simplicity and comfort of using a spreadsheet as the ‘front end’ with a connection to a robust (but well-hidden and transparent to the user) cloud ‘back end’ that does all the difficult work. Existing spreadsheets and other disparate data sources (such as MS Access and core ERP) can now be integrated into one solution with none of the large scale data migration issues once experienced and with minimal disruption. Everyone works right inside Excel, everyone enjoys direct benefit and everyone retains Excel's legendary flexibility. By leveraging the power of an industrial database and combining it with the simplicity of a spreadsheet interface, Business UK can be confident that it is has at its fingertips fundamentally, reliable data, backed by full audit trails that help make more strategic decisions, more quickly, with more accuracy. At first glance, the technology looks and feels exactly like working with a set of normal spreadsheets: there are no changes in business processes and no additional training is required. The difference lies in the fact that every spreadsheet is enhanced by a connection to a secure cloud server so that as each member of the team changes any value in any cell of data in their local spreadsheet, updates are synchronised in the cloud and one version of the truth is sent back to everyone. With regulators likely to take an increasing interest in their use over the next two years, this marks an important step forward in finding a way to improve collaboration and efficiency, data quality and validity and eliminate one of the biggest risks associated with spreadsheet use; the lack of an audit trail. The demand for combining the best of the old with the advanced technology of the new is a trend, which is set to resonate in 2018. Businesses are tired of investing and embracing new, tech that fails to live up to the hype. Why reinvent the wheel when you can simply improve it? This use of smart technology to deliver next generation enterprise spreadsheets has the potential to put an end to a problem that has resulted in almost one in five large businesses suffering financial losses and ultimately will put power back in the hands of business users. Businesses have grown tired of inflexible, expensive software packages or accounting software that never completely does what they need. Reverting to spreadsheets, that have been transformed to fit the needs of today’s world, gives them back the control they need. Brian Donnelly is CEO of Synapse Information. He founded his first major business; Constellar, in the late 1990’s. Outside of work you will most likely find Brian on the Squash court.